UFC on Versus 3 fighters stepped on the scale fast and easy. Let's get it on! No can stop the supremacy of the Ultimate Fighting Championship. First, UFC 127 gained a “quite good” rating and second UFC 129 tickets were sold out the moment it came out and now, many people are looking forward for UFC on Versus 3. 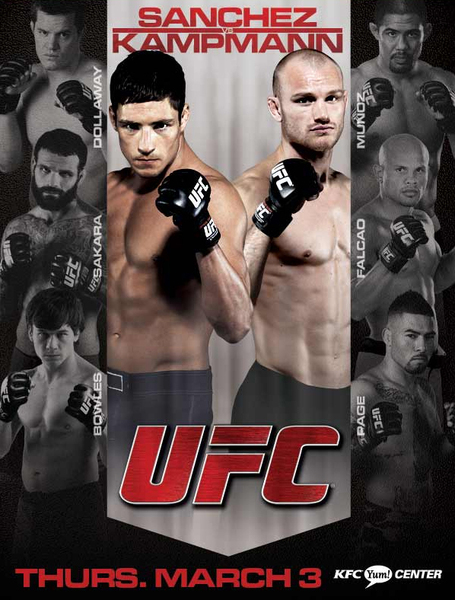 Speaking of UFC on Versus 3, the official weigh-ins of the event took place in Louisville, KY last Wednesday. Main men for the event Diego Sanchez and Martin Kampmann both achieved their target weights making the fight more official that it may seem. A few fighters stepped on the scale naked to make it to the weight limits. Most fighters made it to the scale fast and easy. Here are the official weights for UFC on Versus 3 card, airing Thursday starting on Facebook at 8pm ET then moving to Versus at 9pm ET.